Wispy autumnal images in matte Cherry Creek Jasper blend with most everything. Cherry Creek Jasper is a relatively new material from China that exhibits a wide range of gorgeous colors and some of it takes a beautiful polish. Gary left these stones with a matte finish so you can peer deeply into them. Zenz gave up trying to restrict his work to agates in his third volume (below), signaled by the beautiful Morrisonite Jasper on the cover. 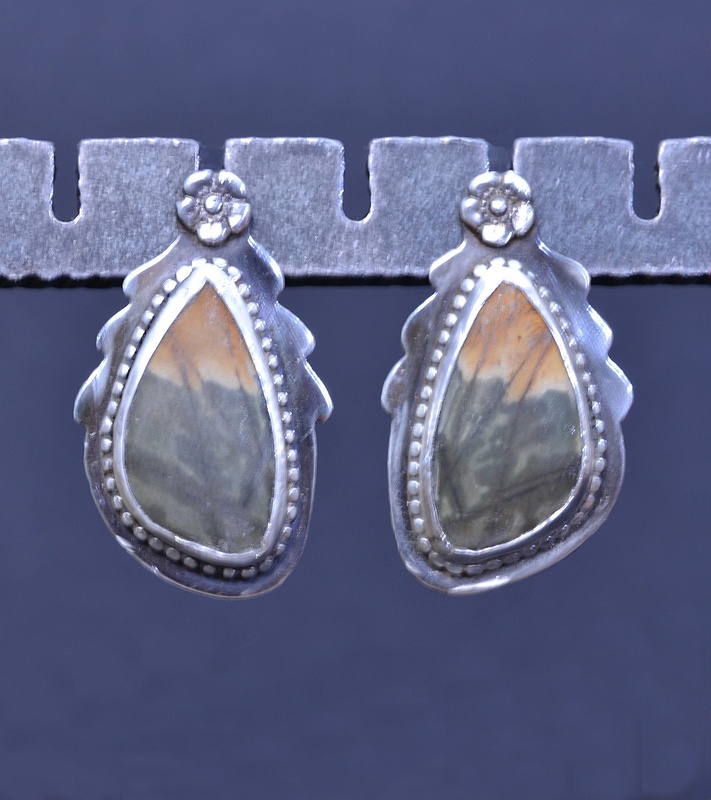 Both agate and jasper are both varieties of what Dr. Pough calls microscopically crystallized quartz though the patterns in jasper are entirely different from the ones in agate. A simple distinction between the two is that agate is translucent while jasper is not. Of course Mother Nature doesn't necessarily respect our categories. In our Montegrosso Jasper set for example, a band of translucent agate runs right through the middle of the gorgeous deep black jasper. So Zenz relented and includes a lot of jaspers in his third volume, including our Cherry Creek. He says that the Cherry Creek find "suggests that China is about to become an important supplier of rough rock material." I'm not sure the Chinese dealers understand yet just what they've found. I have seen stacks and stacks of Cherry Creek beads which, to me, look like they are cab-grade material and it's a shame to have cut them up into beads. However Zenz does mention that the material can be brittle and have a lot of fractures, so perhaps they made beads because they couldn't get larger pieces suitable for cabbing. 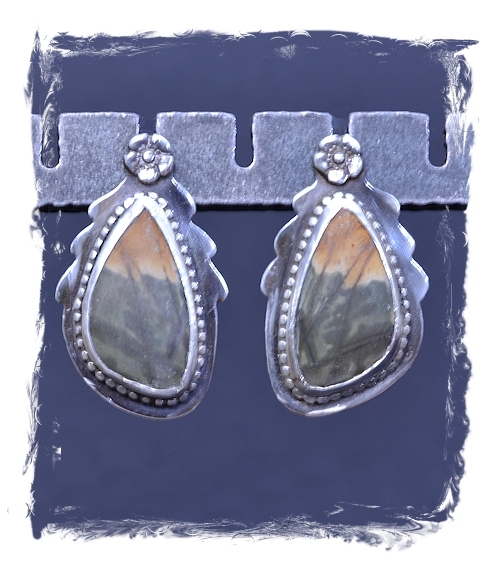 It is safe to say that Gary recognizes cabochon-worthy material, even if it is in very small pieces as with these earrings. Melody assigns "supreme nurturer" to jaspers though she doesn't mention Cherry Creek in particular. I hope you will order them today! I predict you will enjoy them.